Every serving gives you 5g of high performance BCAAs, as well as beta alanine and taurine. This power combo boosts your performance, giving you the drive to achieve more in your workout. And you get these strength and recovery benefits without the usual sugar and calories. 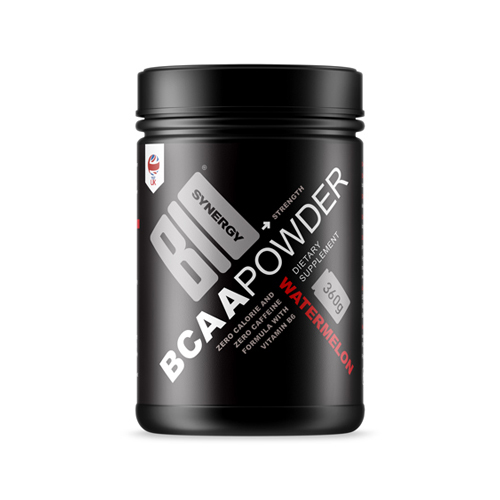 BCAA 2.1.1 Blend, Taurine, Flavouring, Citric Acid (Acidity regulator), Beta Alanine, Sucralose (Sweetener), Pyridoxine Hydrochloride (Vitamin B6), E133 Colour. "Wouldn't know what do to without it. A perfect no calorie Bcca powder that tastes great and keeps my body protected against any unnecessary muscle loss. A great supplement for fasted cardio sessions. Curtis Stevens."